If you are looking at appliances you must stop by Pacific Sales. 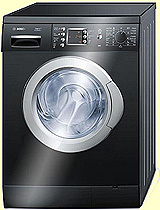 Pacific Sales has the best selection of appliances in Corona. From the basic models to the high end custom models they have it all in a very impressive showroom. Their discounted price was lower than the big national discounters and included delivery . Never pushy and easy to deal with, Pacific Sales will make your shopping experience enjoyable! Located facing the 15 freeway, exit Magnolia in the industrial complex between Magnolia and Ontario. Open: Tuesday - Saturday 10.00am-6.00pm, Closed on Sunday and Monday.